A clear sky. Low near 55F. Winds WSW at 5 to 10 mph..
A clear sky. Low near 55F. Winds WSW at 5 to 10 mph. St. Paul and the Broken Bones open the 50th season of the Margrit Mondavi Summer Concert Series Music on June 29. Mexican classical guitar duo Rodrigo Y Gabriela perform at Mondavi on July 20. The Struts perform at Mondavi on July 6. Matt Nathanson, whose work is a blend of folk and rock-and-roll, performs at Mondavi on July 27. Thievery Corporation's Rob Garza and Eric Hilton will be at Mondavi on July 13. Langhorne Slim and The Law will be special guests at the opening concert on June 29. How time flies when you’re having fun. The beloved and always-anticipated Margrit Mondavi Summer Concert Series celebrates its 50th season over five consecutive Saturdays, June 29 through July 27. June 29: Opening the series, is the eight-member, band, St. Paul and the Broken Bones from Birmingham, Alabama. “Heart, soul and flair with a well-worn sound buoyed by strong, fresh song writing” wrote Bob Bollen of NPR. Special guest is singer/songwriter Langhorne Slim & The Law on guitar, banjo and harmonica. Fireworks end the evening. July 6: U.K.-bred, four-piece rock band, The Struts, is known for a sound with deep grooves and inventive textures, and a glam-rock revamp that’s unabashedly fun. With special guest the Cleveland, Ohio, blues-rock band Welshly Arms. 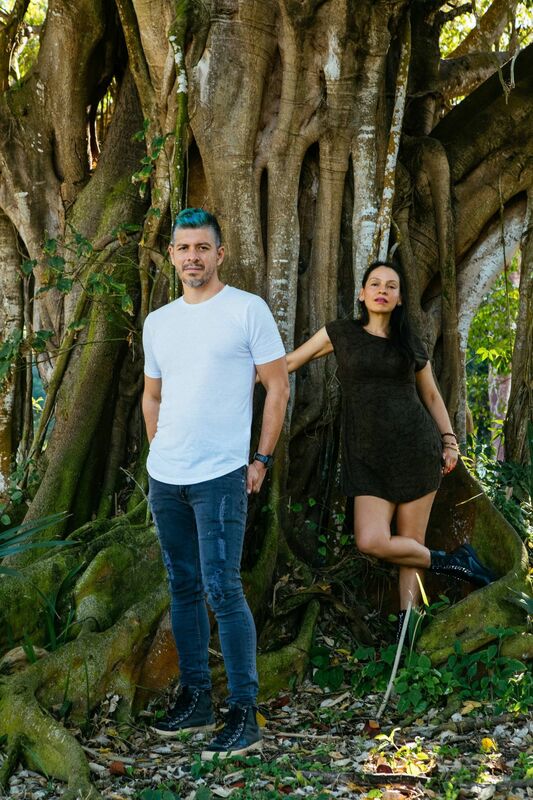 July 13: Electronic world music duo, Thievery Corporation, perform their diverse dub ethos and aesthetic style mixing elements of dub, acid jazz, reggae, Indian classical, Middle Eastern, hip hop, electronica and Brazilian. Special guest is Royal Jelly Jive, a soul-rock band from San Francisco. July 20: Mexican classical guitar duo, Rodrigo Y Gabriela, blend metal, jazz and Hispanic roots music in their unmistakable, acoustic style. “At times, it was hard to believe this sheer rhythmic force all came from just two guitars.”-The Independent UK (London2016). A special guest is soon to be announced. July 27: Matt Nathanson, whose work is a blend of folk and rock ‘n’ roll music, has evolved into one of the most applauded songwriters and engaging performers on the music scene. Special guest is Tyrone Wells, a singer/songwriter from Spokane, Washington. Margrit Mondavi was always ahead of her time — in her love for the visual and sculptural arts, in her culinary creativity, for all things wine, as a “fashionista” and for generously supporting the arts community. She was also a maverick when it came to music. She had a particular sweet spot for jazz — and was involved in booking musical icons from Ella Fitzgerald to Dizzie Gillespie to Ray Charles and Tony Bennett. Ticket options to the concerts include general admission (access to the main lawn in front of the stage); reserve patio (assigned seats on the patio adjacent to the Vineyard Room); and dinner tickets (wine reception in To Kalon Cellar followed by dinner with wine pairings in To Kalon Vineyard and elevated seating). Policy changes that will be implemented this year. “As for other accessories,” Magner continued, “coolers are no longer permitted and bags/purses cannot be larger than 14 inches by 11 by 5 inches (or 30 linear inches in total), and cannot have more than one singular pocket or opening. Margrit Mondavi rarely missed attending a concert season, and many people felt they knew her on a first-name basis through those charming and often humorous welcomes she gave from the stage. A gracious hostess to all who attended, she became great friends with many of the artists who performed over the years. The series that now carries her name is alive and strong, thanks to a conversation that blossomed into a musical feast under the summer stars. The Robert Mondavi Winery is at 7801 St. Helena Highway in Oakville. Doors open at 5 p.m. with performances at 7 p.m. For tickets and additional information, visit concerts@robertmondaviwinery.com. Evy Warshawski is co-founder/director of E & M Presents. Contact her at eandmpresents.org. St. Helena’s Fred Lessman didn’t choose rock ‘n’ roll. It chose him – and he’s certainly not complaining.